In the study, which was conducted at the University of Chicago, patients in the intervention group were monitored with EarlySense's sleep monitor instead of being woken up for nightly vital checks. With constant interruptions and vital checks, getting a good night of sleep in the hospital can be a challenge for patients. But a recent EarlySense study conducted at the University of Chicago found that using the company’s contact-free remote monitoring system as an alternative to waking patients up for vital check throughout the night led to better sleep and satisfaction for patients. “What the study actually shows is ... you get improvement in sleep quality, patient satisfaction and the efficiency of the nursing team by focusing their attention on the patients that really need care, and those that are stable and low risk don’t need to be woken up at all,” Avner Halperin, CEO of EarlySense, told MobiHealthNews. The study included approximately 150 patients, who were divided into a control and an intervention group, according to Halperin. Low-risk patients in the intervention group were not woken up at night between 11 p.m. and 6 a.m. Researchers estimated that this practice could lead to a reduction in overnight staff workloads, decreasing costs by $200,000 to $550,000 per 100 hospital beds per year. The study is now being submitted to peer-reviewed journals for publication. 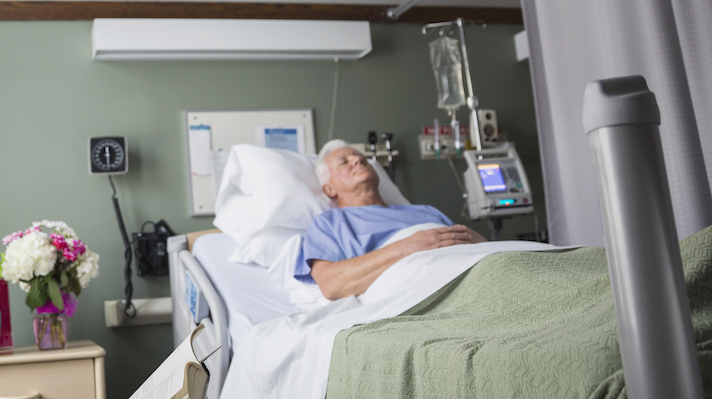 In a hospital setting patients are typically woken up several times a night for vital checks. Studies have shown that sleep disruptions are associate with negative health outcomes including elevated blood pressure, delirium, and delayed healing. EarlySense is pitching its technology as an alternative to the manual checks that require waking a patient up. EarlySense made headlines in December when it announced that it was integrating with Hill-Rom’s Centrella model hospital bed. The company said that the new technology would be able to measure heart rate and respiratory rate over 100 times per minute. A month later EarlySense announced a $39 million funding round led by Hill-Rom and Wells Fargo. At the time the company said that the new money would be used for expanding its AI analytics capabilities and grow sales both internationally and domestically.